"We were very impressed with their high quality standards and attention to detail"
LC Jergens 5,000 square foot Finish Shop offers high quality pre-installation finishes for doors, molding, trim, shelving and cabinets. We designed our state-of-the-art facility to accommodate a range of applications, from ferrous and non-ferrous metals to fine quality furniture and decorative pieces. 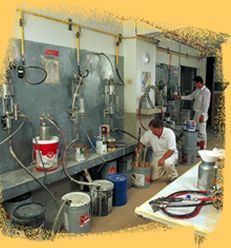 Our shop often supports field jobs where off-site painting facilitates job efficiency and timeliness. 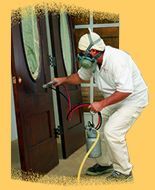 We regularly pre-finish doors and moldings, as well as kitchen cabinets, prior to installation in new construction or remodel projects. 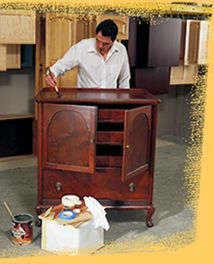 Often used by cabinet makers and furniture builders seeking unique colors and finishes, our Finish Shop is able to ensure a perfect match and premium quality finish for aged surfaces and textured coatings.